It’s a new year and Disney has declared 2019 to be the “Year of the Ear”. 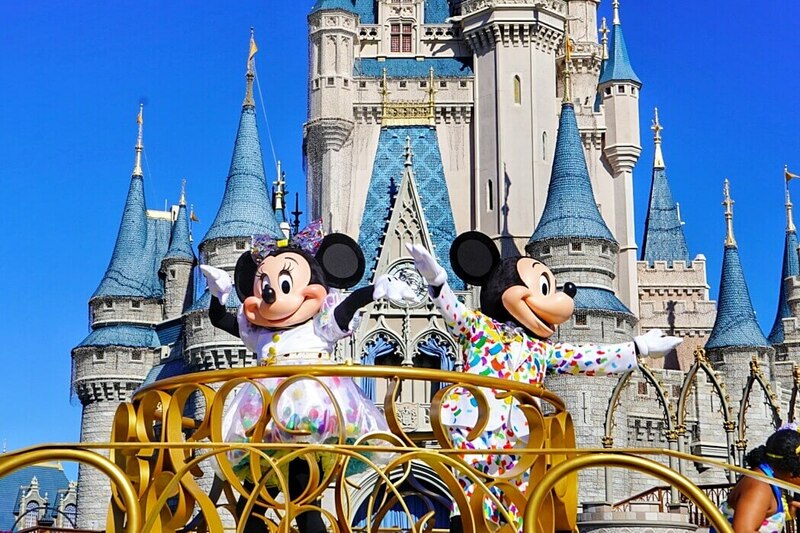 It’s all about Mickey Mouse, especially at Disney World’s Magic Kingdom. January 18th we started Mickey’s Celebration, with some fun new entertainment to enjoy in the park. This celebration will continue through September 30th, 2019. So if you’re visiting Disney World during that time, here’s a look at everything new that’s been added for this new theme. 1- Meet Mickey and Minnie together in their new outfits. The couple is now meeting together at Town Hall. They have some adorable new outfits with colorful confetti and pom-poms (that you’ll see to be a theme for this celebration). TIP: for a while, they’ll be popular since they don’t usually meet together, so if you can grab a Fastpass for them it will save you some time. While you’re at Town Hall make sure you sign Mickey’s guest book and pick up a card and some stickers. 3) Check the Flag Pole area for rare characters. This area is in Town Square right as you enter the park. During Mickey’s Celebration, there are different rare characters out each day. These “long lost friends” appear near the flag pole in Town Square each day. They are unpublished, so there is no official schedule for them. However, there are several other sites that have obtained the schedule through other sources. This seems to be the schedule of appearances at this point. They appear each day from 11:30-4:45. No word on whether the characters will remain the same through September, but if I hear differently I’ll let you know. Lines can be a bit long for these, so if you know you want to see them, try hanging around the area a little before 11:30 to catch them before the lines form up. 4) Enjoy some of the NEW special treats and snacks. These can change throughout the Celebration but right now here are the ones you don’t want to miss. Starbucks on Main Street has an incredible new castle cupcake that is delicious! It’s orange cake with champagne buttercream. You’ll also find lots of fun sprinkle treats in the park perfect for a celebration. Cosmic Ray’s has a special Mickey Mouse hamburger that’s topped with Macaroni and Cheese. And Gaston’s Tavern has a celebratory drink called Now and Forever slush made with sparkling cider. 5) Check out the new merchandise. Top pick is this adorable Mickey Mouse sipper cup. You can find it at quick service spots around Magic Kingdom. I got mine at Cosmic Ray’s in Tomorrowland. It’s $14 or $10 without a drink. There are lots of other adorable merchandise throughout the park with lots of it being found at the Emporium on Main Street. Hope you get a chance to experience all the fun for Mickey’s celebration this year. Remember this will last through Sept. 30th, 2019. And as always, the best way to connect with me and stay up to date with everything happening at Disney World is to follow me on Instagram and sign up for my weekly news email.